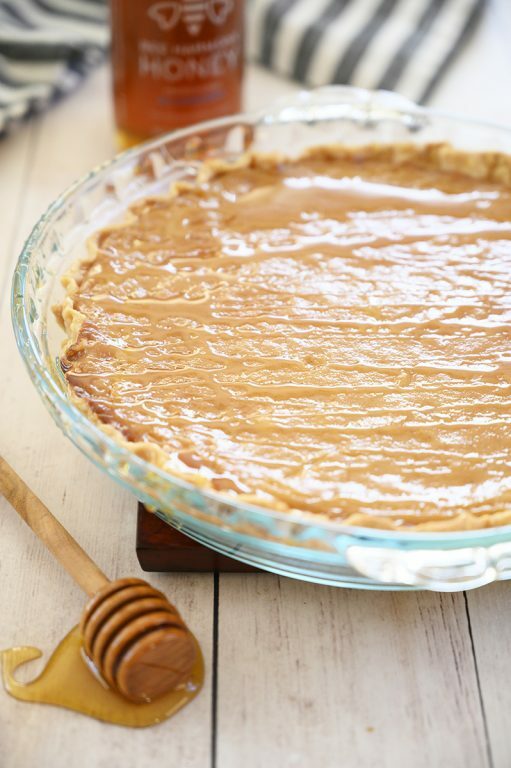 Beyond simple Salted Honey Pie recipe is an inviting sweet and salty flavored dessert with an irresistible custard filling, perfect flakey pie crust, and is absolutely delectable! This would be a great Easter dessert idea. If you give me one choice of pie, it’s going to be custard, especially when the weather warms up. Spring is already here and Easter is in a month. It’s hard to believe. I got to thinking about creating a delicious pie that is perfect for spring and came up with this Salted Honey Pie. 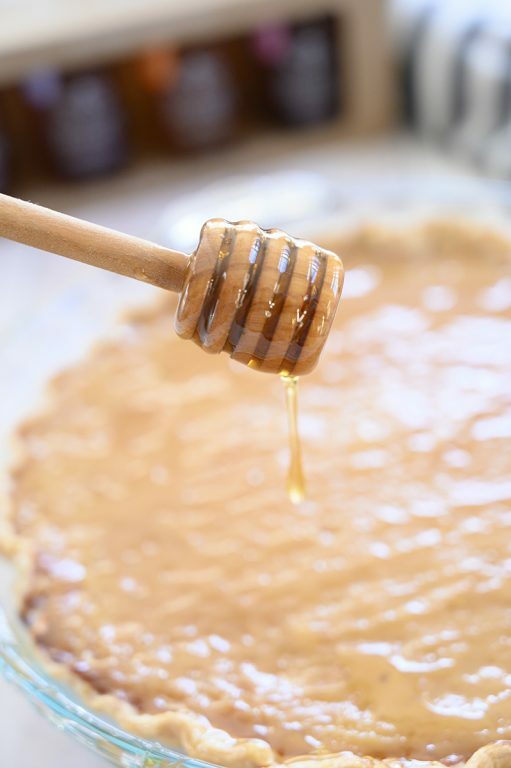 Everyone loves a fruit pie for the holidays, but a good custard pie flavored with honey is totally underrated! I had never heard of a honey pie before but I knew that I needed it in my life immediately. ASAP. Like, last week. The custard filling turned out so creamy and amazing. I wanted to just eat it with a spoon, like my Baked Vanilla Custard. I used delicious Bee Harmony Honey Honey (a premium raw honey) in this recipe and the flavor was unbelievable. If you haven’t tried their honey, I really think you should. It’s called The Beeresponsible Honey for a reason. They have a true passion for a healthy bee population and creating a sustainable product. 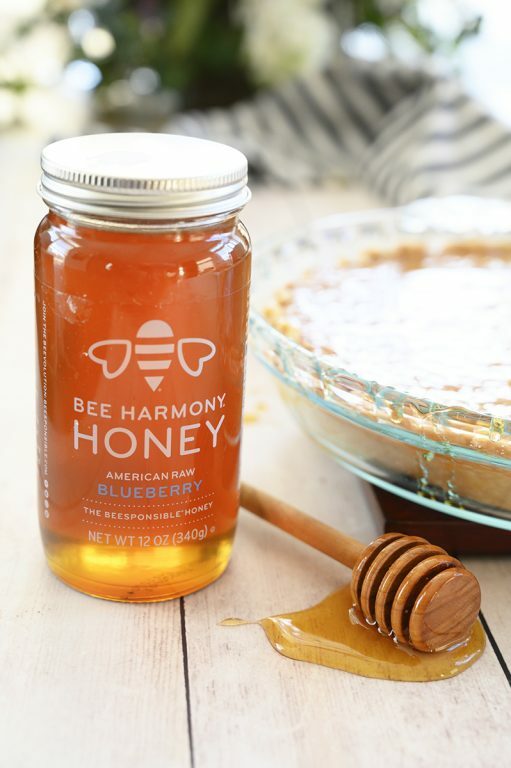 Bee Harmony Honey is made the way nature intended,with bees drawing nectar from wildflower blossoms across superior forage lands, tended by trusted beekeepers. Their Orange Blossom honey is one of my favorites. 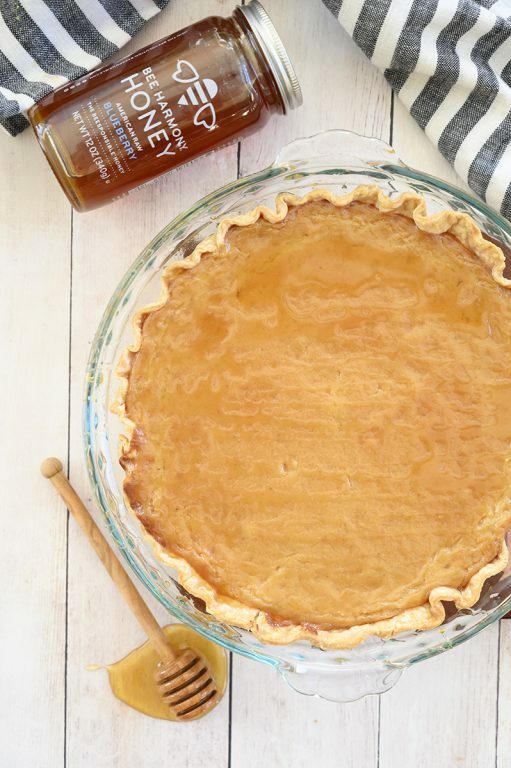 I really love the flavor, texture, and simplicity of this salted honey pie recipe. The sprinkling of salt on top of the finished pie is really a party in my mouth. The salt adds just the perfect finishing touch to the recipe. Sweet and slightly salty combination is my absolute favorite combination out there when it comes to dessert! Know what makes this salted honey pie even better? Topping it with an extra drizzle of honey while it is still warm. The honey just melts into the crevices of the custard filling, and seeps all the way down into the pie. It is just a sin, but in a good way. Extra drizzles of honey all around! I highly recommend this salted honey pie for Easter brunch or any special occasion. You won’t be disappointed. Honey breakfast bread. This is so easy and can be breakfast or a snack. Honey butter creamy skillet corn. I love this for the holidays, but it’s good at any time. Honey Buttermilk Bread. This is easily the most popular bread recipe on my blog and absolutely delicious. Baked Honey Sesame Chicken. This tastes even better than take-out! Honey Banana Berry Cake Cookies. The honey and banana together is SO good. Peanut Butter Honey Greek Yogurt Pops. These healthy popsicles are the best in the spring and summer. Make sure you head on over to Beesponsible.com to learn all the ways you can help bees and also try out their Bee Harmony Honey. You will love it! 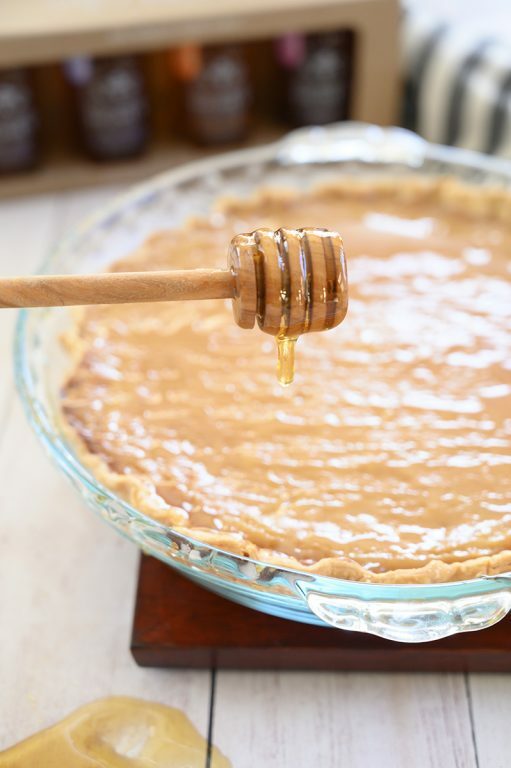 Beyond simple Salted Honey Pie recipe is an inviting sweet and salty flavored dessert with an irresistible custard filling, perfect flakey pie crust, and is absolutely delectable! Make your pie crust according to the recipe and chill for at least 1 hour (if homemade). If making your own crust, lightly flour your surface and roll the pie crust to fit a 9-inch glass pie dish. 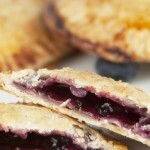 Place gently in pie dish; trim off any excess along the edges. Flute the edges of crust with fingertips. Prick the bottom of the crust with a fork. While crust is baking, heat the milk and cream in a medium saucepan over medium-low heat just until steaming and remove from heat. Whisk the eggs, honey, both sugars, cornstarch, nutmeg, vanilla, and salt together in a separate mixing bowl. Slowly drizzle the warm milk mixture into the egg mixture while whisking continuously. Return the mixture to the saucepan and cook over medium-low heat, stirring constantly with a wooden spoon until the custard thickens and adheres to the spoon, about 7-8 minutes. Turn the oven temperature up to 375°F. Pour the thickened custard through a fine-mesh sieve into the hot pie crust. Use wooden spoon to mix it and to help work it through. Bake for an additional 13-15 minutes until the edges, filling is golden, are set but the center remains slightly jiggly/wobbly when shaken. Cool completely on a wire rack before slicing so it firms up. Sprinkle with flakey sea salt on top, to taste (optional). 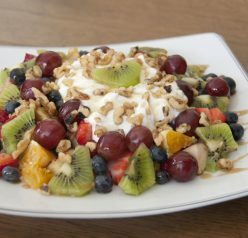 You can also top with whipped cream and a drizzle of honey, if desired. This pie is truly delicious! One of the best I’ve had. I just just just bought some local honey! I have to make this pie now… yum! 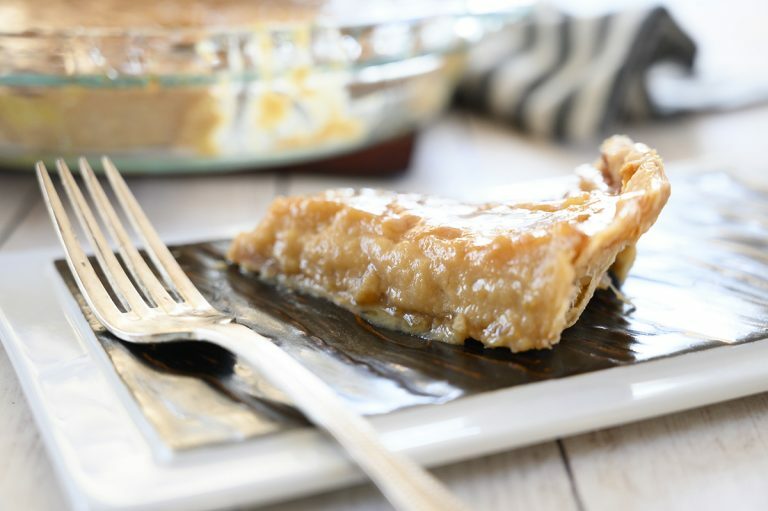 We love custard pies, too, and this honey sweetened version looks terrific!!! This was so good. Honey was such a nice touch. Thanks for such a great recipe. 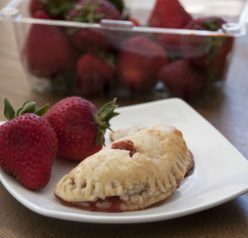 You haven’t had pie until you’ve made this recipe! Top notch. This looks and sounds delectable. I am going to make it this weekend! I can’t wait! My kids really loved this pie! Such an amazing dessert! Any thoughts on making this as bars rather than a pie? Mmmm, this looks SO good! Salted? Honey? Yes! Great idea — thanks.